“Time to disconnect,” the A8 seems to say. 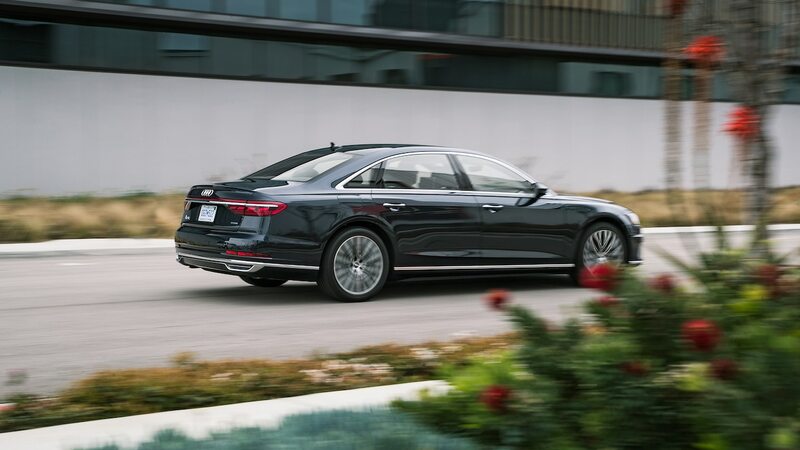 At first, the message feels incongruous in a car with screens almost everywhere you look, but driving Audi’s new executive luxury sedan reveals its true personality. 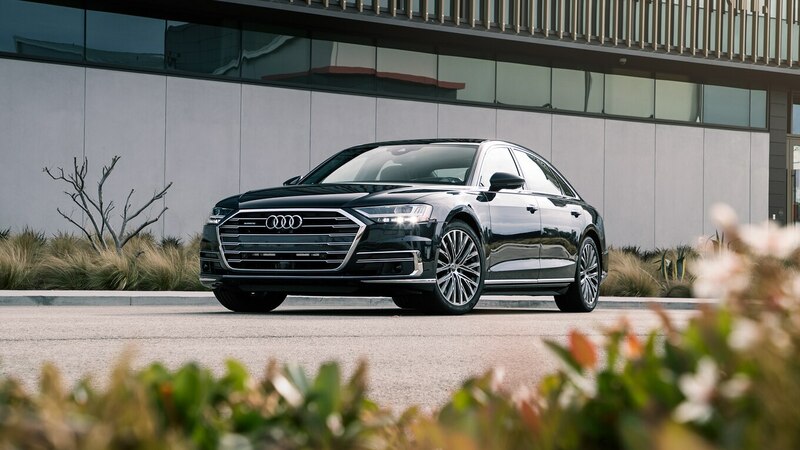 Serving Audi loyalists as much as Mercedes-Benz S-Class intenders, the new A8 attempts to lead in tech yet still isolate passengers from their life stresses with a thick layer of luxury and comfort. 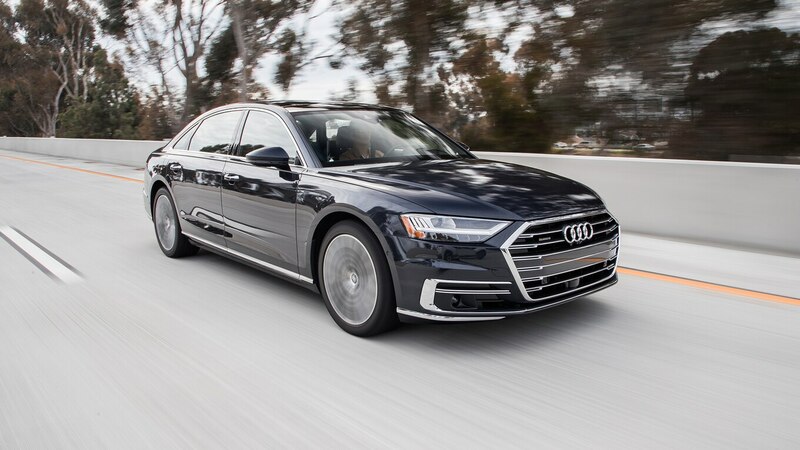 With only one engine offered so far, we tested the 2019 Audi A8 on the track and on the street to see where it fits into a small but competitive segment. Don’t judge the A8 by its 335-hp rating. 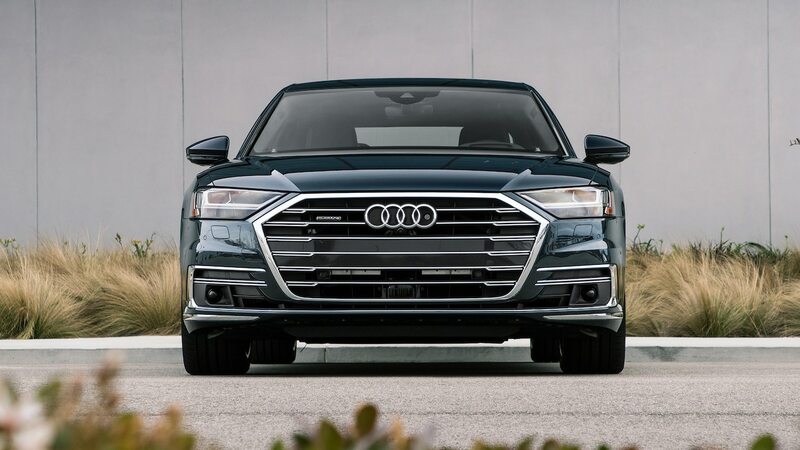 Supplemented by a mild hybrid with a 48-volt system, the Audi’s 3.0-liter turbo-six and standard all-wheel-drive system propel the car forward as quickly as an all-wheel-drive A4 weighing 1,300 pounds (590 kg) less. 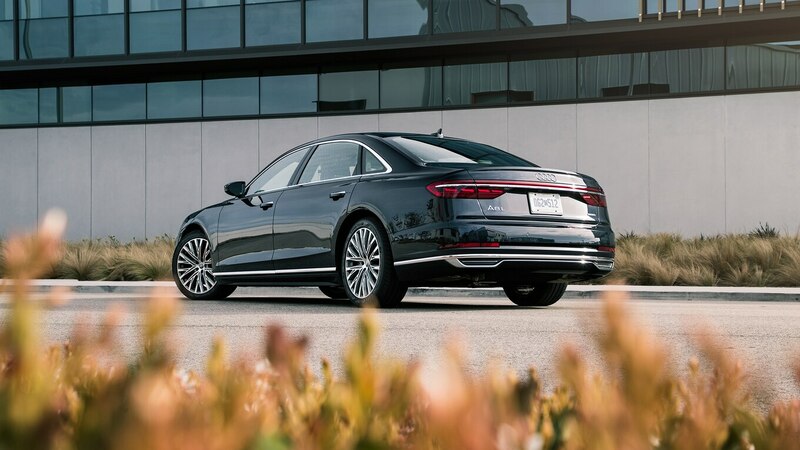 The A8’s respectable 5.3-second 0—60 mph performance holds up well against other all-wheel-drive six-cylinder models in the class. The alluring but dated Jaguar XJ 3.0 is one-tenth of a second slower to 60, while a Lexus LS 500 prototype we’ve tested matches the A8. Go for the Lexus if you want a more emotional (and showy) interior and exterior design at the cost of rear-seat space. Then there’s the more subdued Cadillac CT6—we tested a 3.0TT model reaching 60 in 5.1 seconds. Audi will offer a 453-hp V-8 toward the end of 2019, but unless you’re buying a large luxury sedan to zoom from stoplight to stoplight, leave that spirited behavior for your sports car(s). 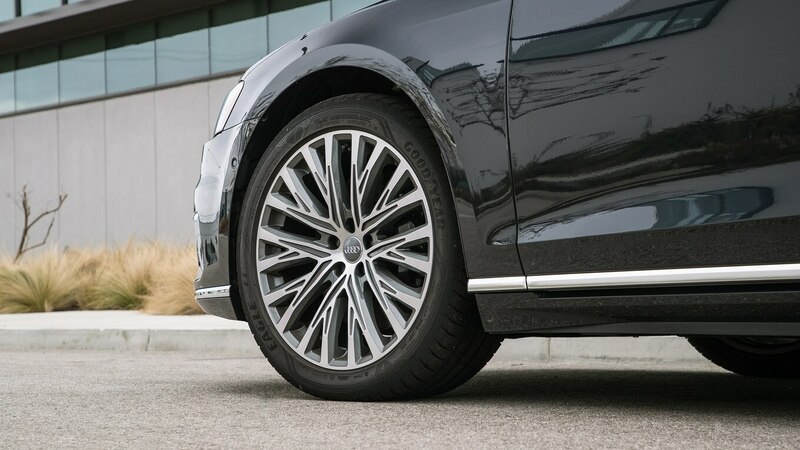 Despite our A8 V-6 tester’s nearly 5,000-pound (2,268-kg) curb weight, the Audi performed competitively on the MotorTrend figure-eight course that evaluates braking, cornering, acceleration, and the transitions between them. 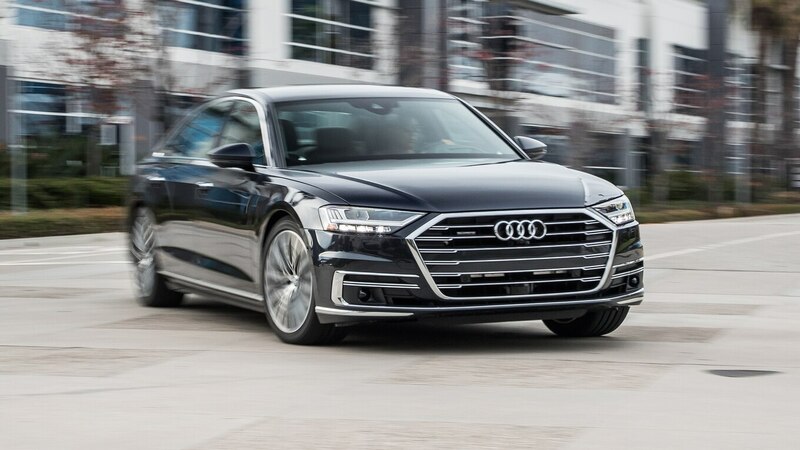 The 2019 A8’s time of 25.5 seconds at 0.73 g (average) is slightly quicker than the Jaguar, Lexus, and Cadillac mentioned above, but testing director Kim Reynolds can confirm what you probably already guessed: The Audi feels big despite its swiftness. 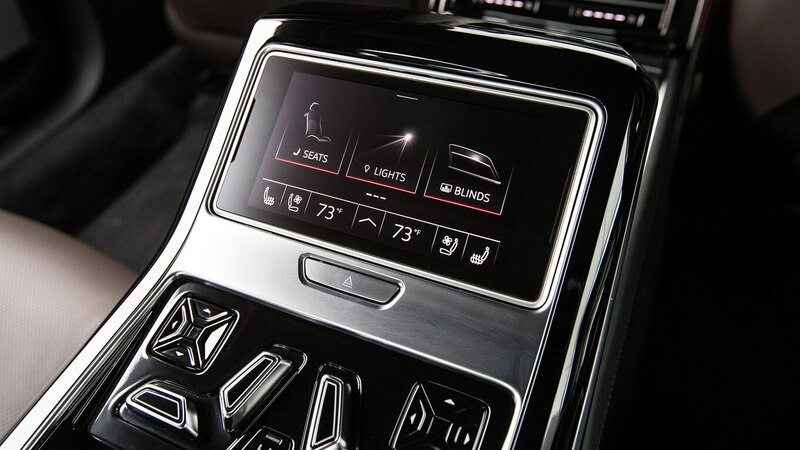 Reynolds commented that even in dynamic mode, the car still exhibited lots of vertical body motions and said it felt “reluctant to turn-in” at the high speeds required for that evaluation. 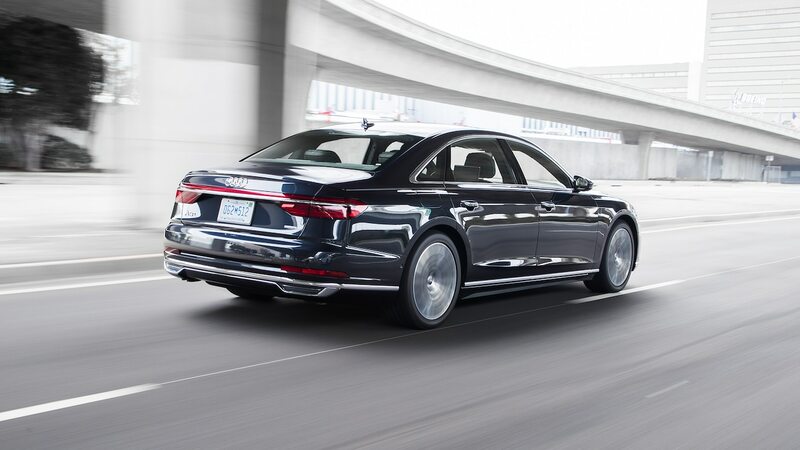 No surprise there, but the A8’s impressive 60—0 mph braking performance of 107 feet means it stops short of the Jag, Lexus, and Cadillac by 5—6 feet. 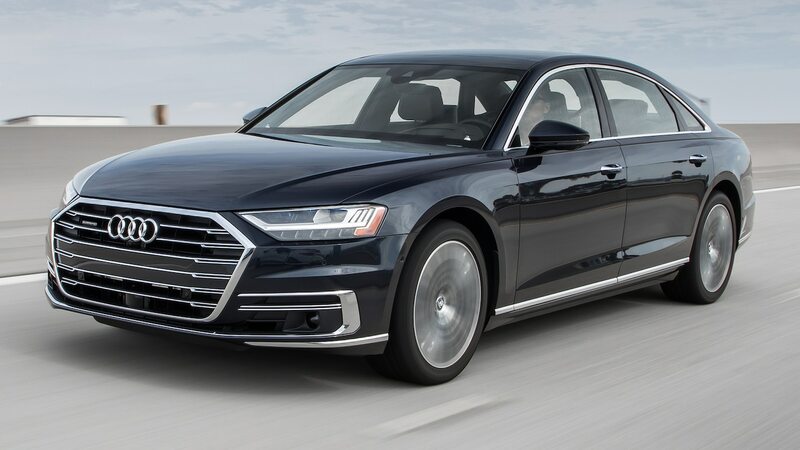 So the 2019 Audi A8 is quick, but not S4-quick. 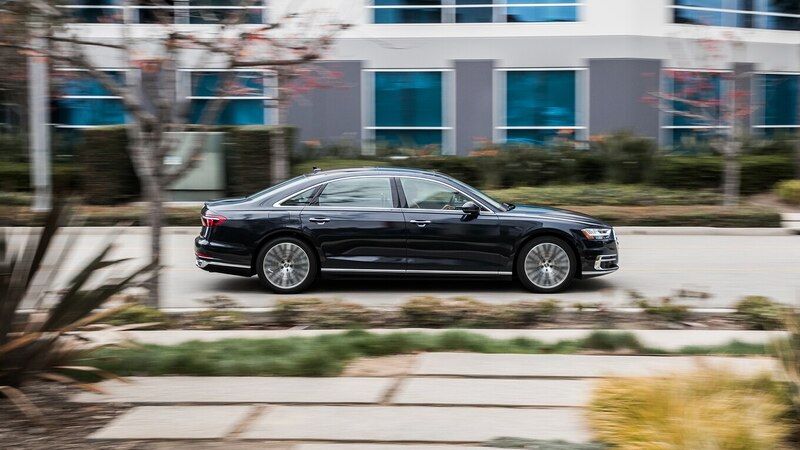 The A8 has something few of its stablemates do—a creamy-smooth ride. 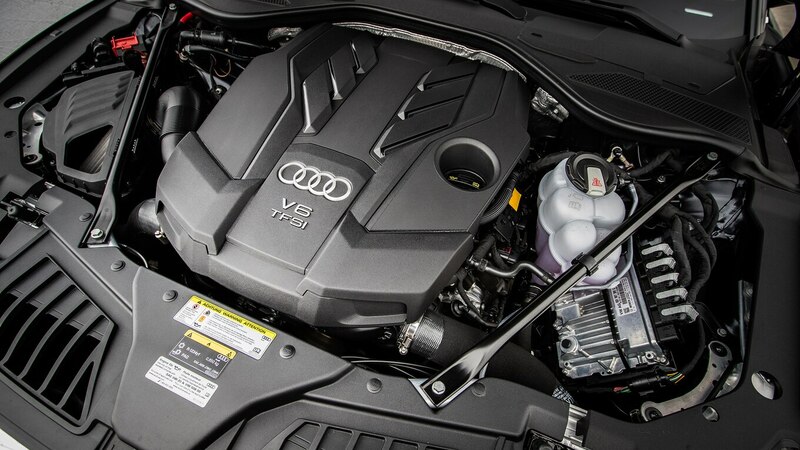 Unless you’re already driving an enormous luxury sedan like the 208.7-inch A8, the Audi makes you feel your local roads are better maintained than they really are, though it pitches and dives a bit too much upon harder braking and acceleration. Although our tester employed an air suspension, future A8s will offer an AI active suspension that scans the road ahead, searching for (and measuring) road imperfections. With this data, the system can lift a wheel up to 2.4 inches to rise over a bump and press it down again, or vice-versa for potholes. Neat. 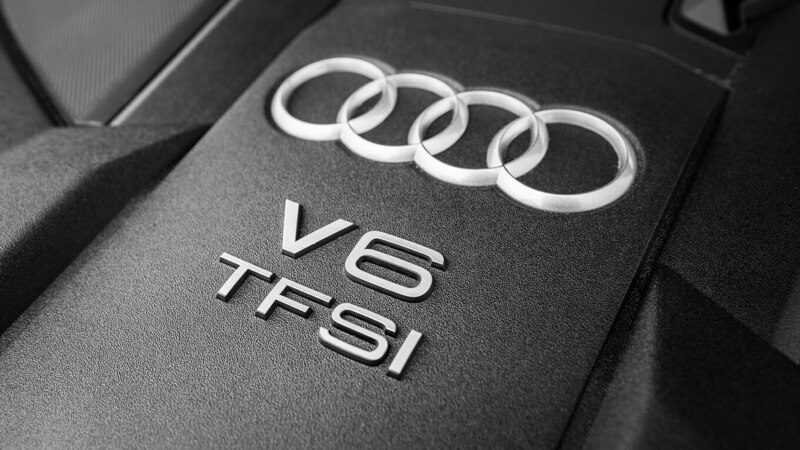 Not interested in waiting for that system to reach U.S.-spec A8s? Know that the existing car matches its good ride quality with a superbly quiet cabin. One issue: I found the engine start/stop system far too intrusive. At long red lights that outlasted the system’s ability to keep the engine off until it turned green again, the car would edge forward if my foot wasn’t on the brakes firmly enough. 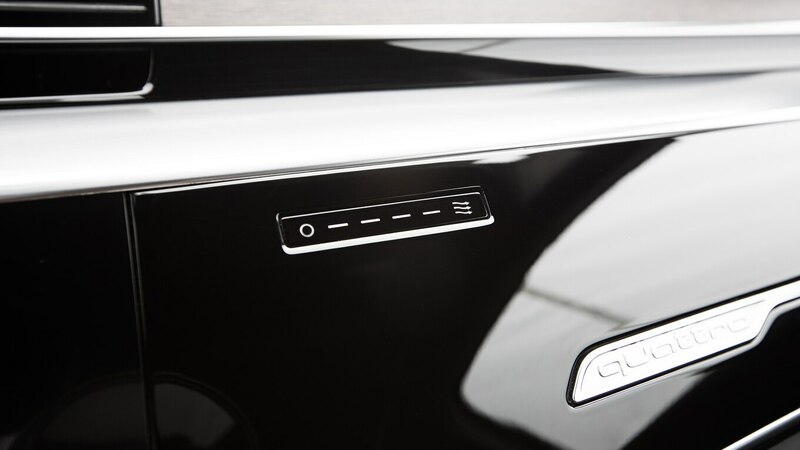 In a review of the updated 2018 Mercedes-Benz S-Class, Frank Markus actually preferred the start/stop system of the new S 450 to the A8, so your mileage may vary. 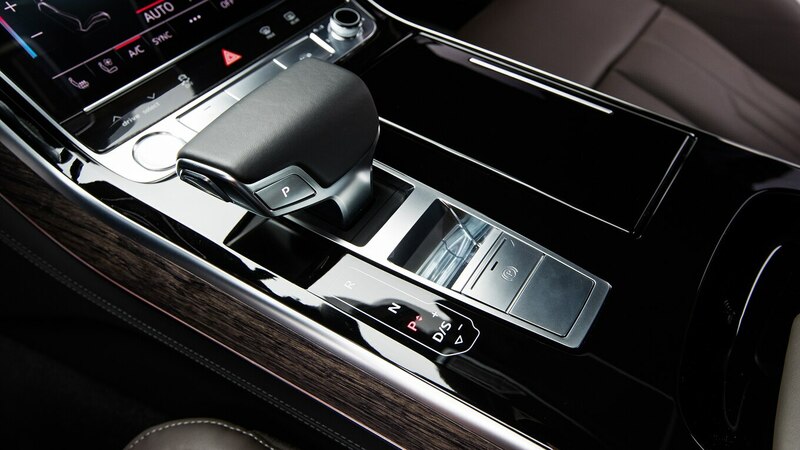 A couple editors also noticed that the eight-speed transmission occasionally stumbled at low-speeds—not an everyday occurrence, but worth noting. 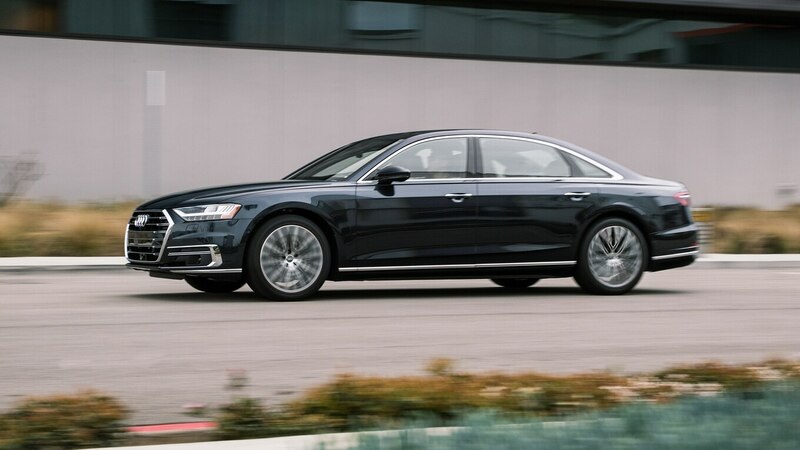 On the highway, the A8’s excellent adaptive cruise control demonstrates why it’s one of the best systems in the industry. Audi’s system is adjustable for distance as well as aggressiveness, so easily nauseated drivers such as this MotorTrend editor can set it to pilot smoothly. Once someone else sits behind the wheel, the system can be programmed to attack gaps in traffic in a way that will make lane-changers think twice before moving in front. 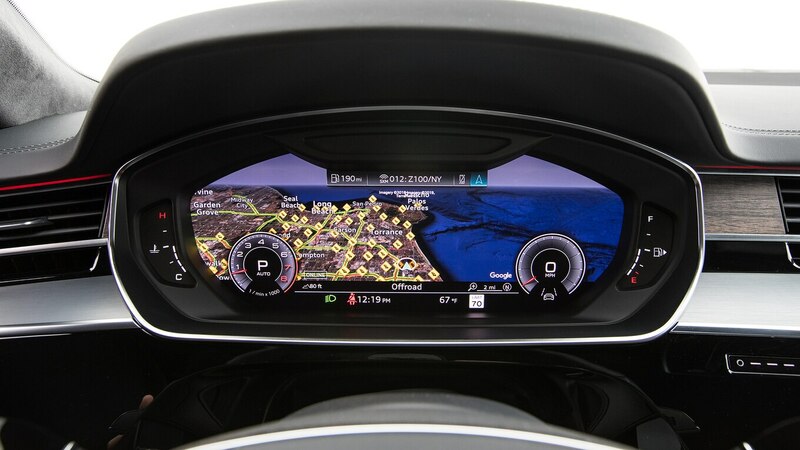 You’ll select those settings from one of two center-stack screens that constitute the A8’s slick infotainment solution. 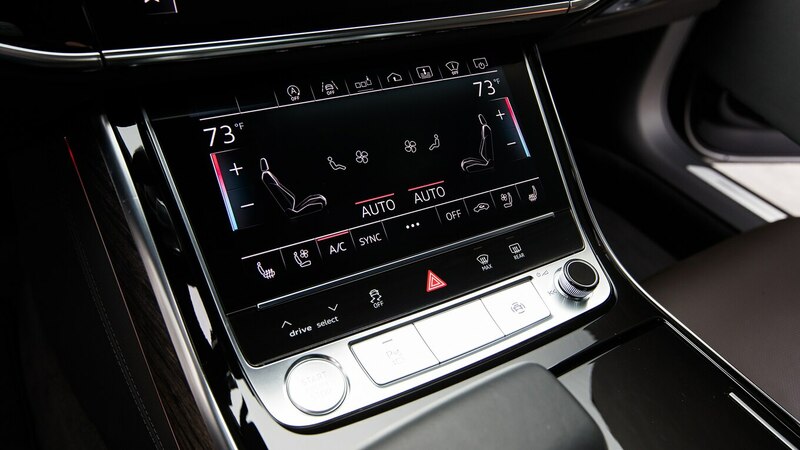 The new system—also in the new A6 and A7—is easy to figure out, but requires too hard of a press to engage on-screen buttons. Sometimes, I found myself looking down to give the screen a second push with more pressure. As with the engine start/stop system, there are MotorTrend editors on both sides of this issue; spend some time with this system to make sure you’re comfortable with it, even while the car is in motion. 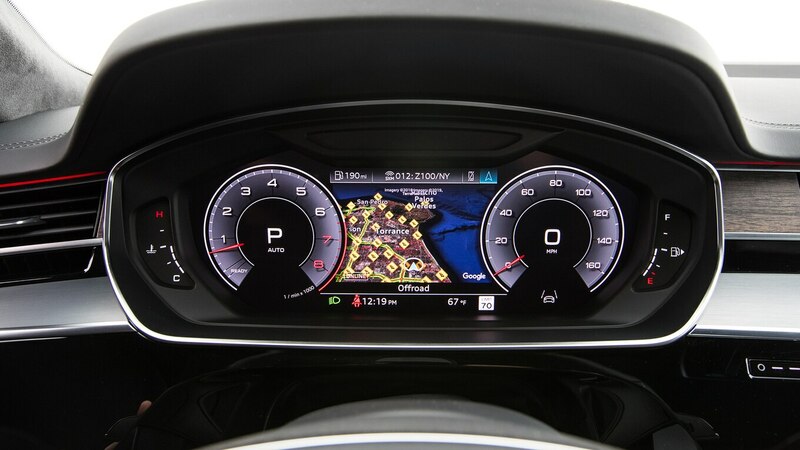 One positive, the Virtual Cockpit digital instrument cluster looks great and is easy to change from one display to another. But you expect a feature like that on a car like this. 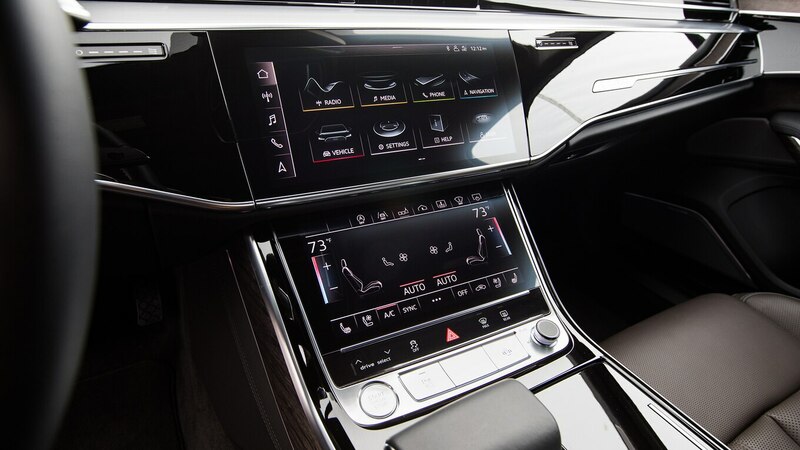 Where Audi boldly goes its own way is with the low positioning of the A8’s two infotainment screens. 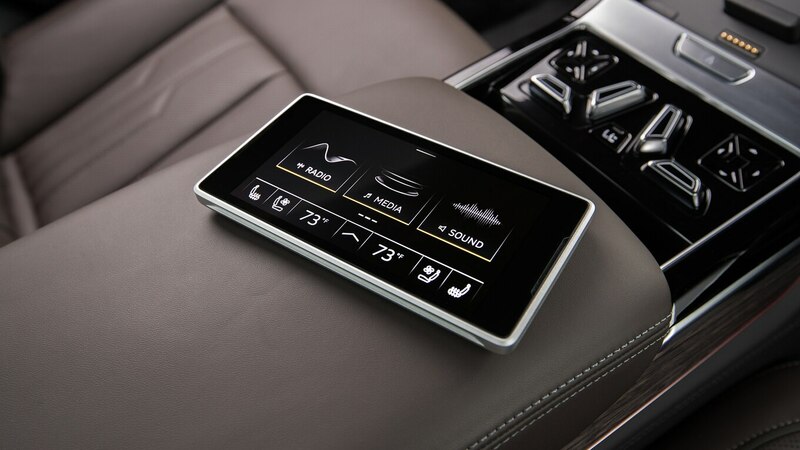 Displays at the top of the dash provide optimal visibility, but there’s something calming about not having an enormous screen staring at you from the cabin’s most prime real estate. I still prefer the layout of the S-Class and 7 Series, but Audi deserves credit for charting a different path. We would have loved to spend more time in the A8’s backseat, but sadly we had to give the car back to Audi. To showcase the A8’s prestige credentials as more S-Class than G90, Audi offers a $7,550 USD rear-seat fancy-pants package. 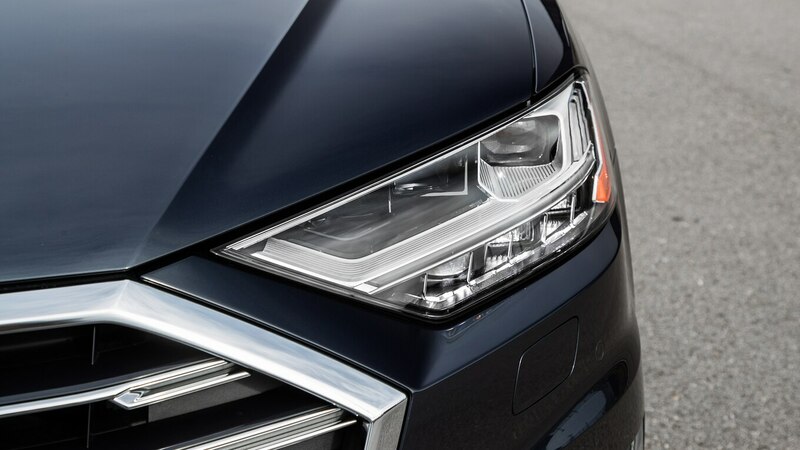 More than just a bundle of features, this package makes the A8 a four-passenger car. 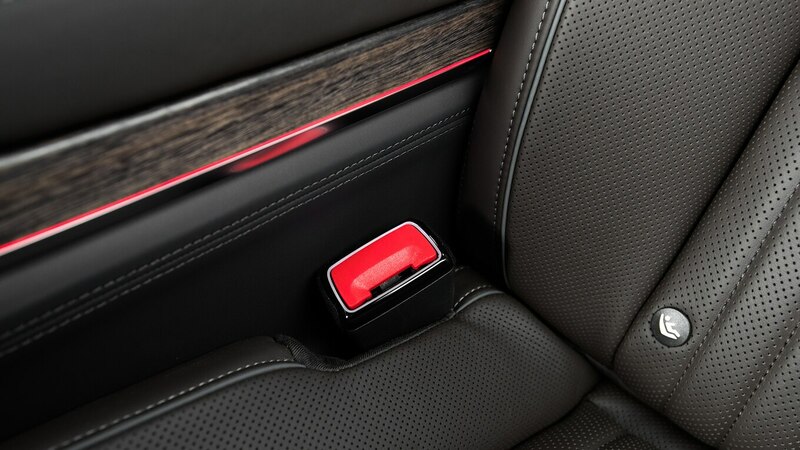 Each rear seat has power-seat controls with a limited range of movement, extremely comfortable headrests, folding tables, and Rear Matrix LED reading lights. 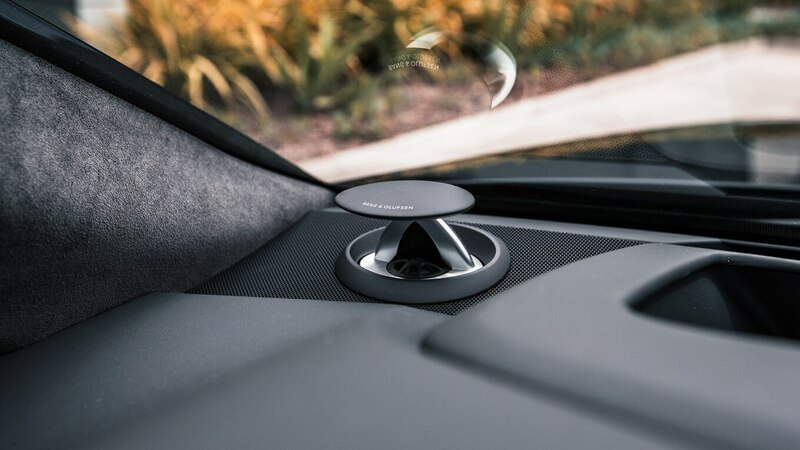 The latter is both a super-cool “look what my car has!” trophy-feature, and a great way for one rear passenger to adjust the intensity and specific location of light so it doesn’t bother others. Our $123,345 USD tester’s rear seat boasted massage, heat, and ventilation functions, plus a feeling of space you can’t get on the boldly reimagined Lexus LS at any price. 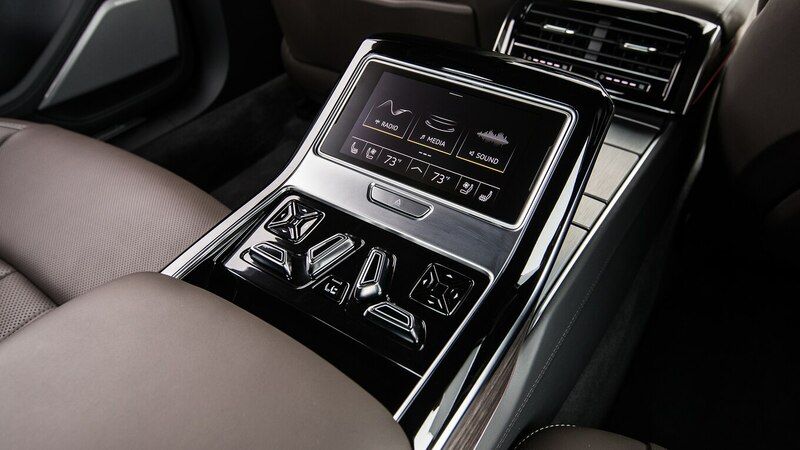 Perhaps the best feature—if you’re looking to impress that million-dollar client—is the passenger-side rear seat footrest and foot massage feature. Once you figure out how to engage the feature from the removable 5.7-inch tablet-remote (it took me a couple minutes), the front seat moves as far forward as possible and the fun begins. Stretch out on your personal footrest and let your feet be massaged. 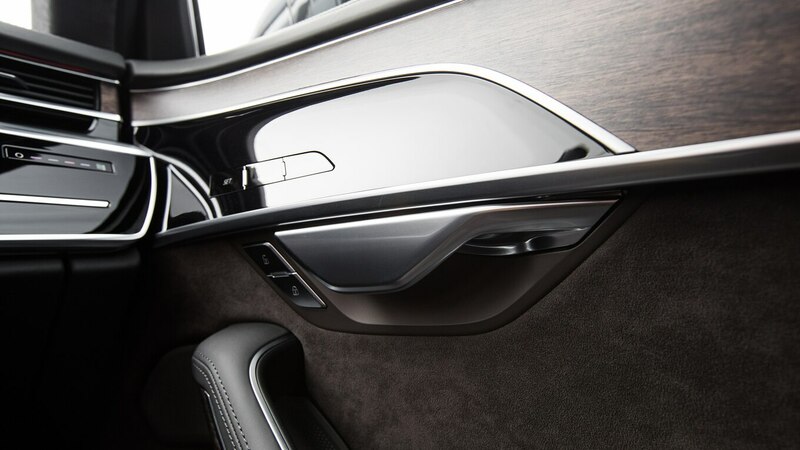 Even if you don’t go all-out on the options list, the A8’s interior feels rich. 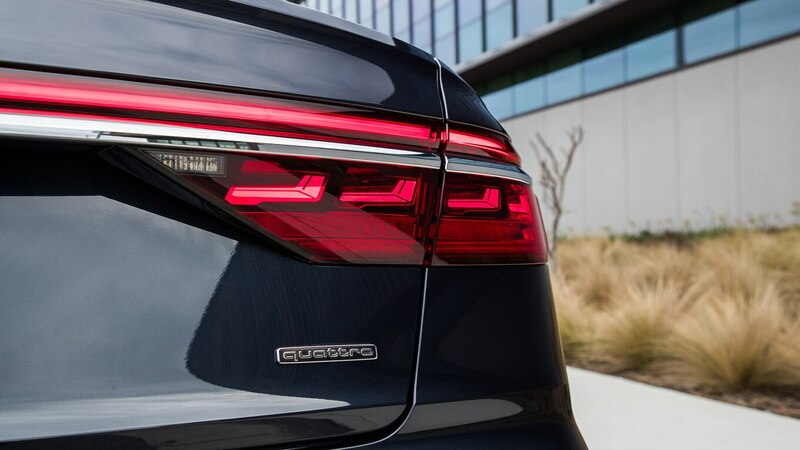 Having said that, we hope Audi improves a few details in a future model year: No Kia sedan or Lexus crossover should have better-feeling materials on the back of the door pulls and grab handles. Larger cupholders and a TPMS with readouts at all four tires would also be appreciated. 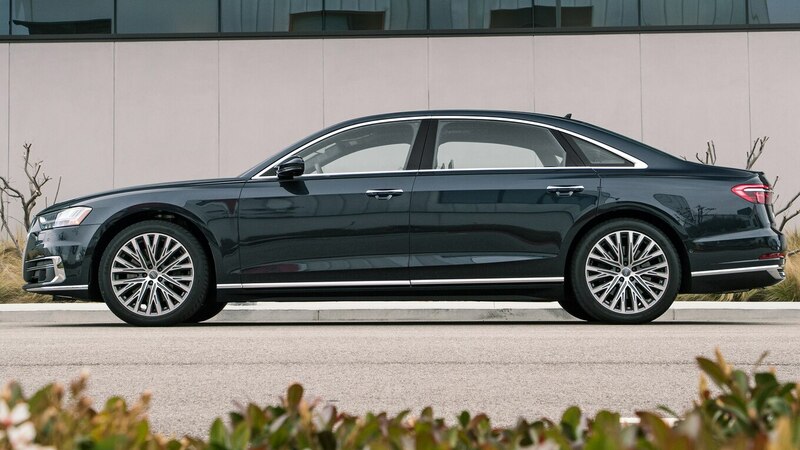 Mostly, though, the 2019 Audi A8 feels just as worthy of gracing your motor court as the Mercedes-Benz S-Class. 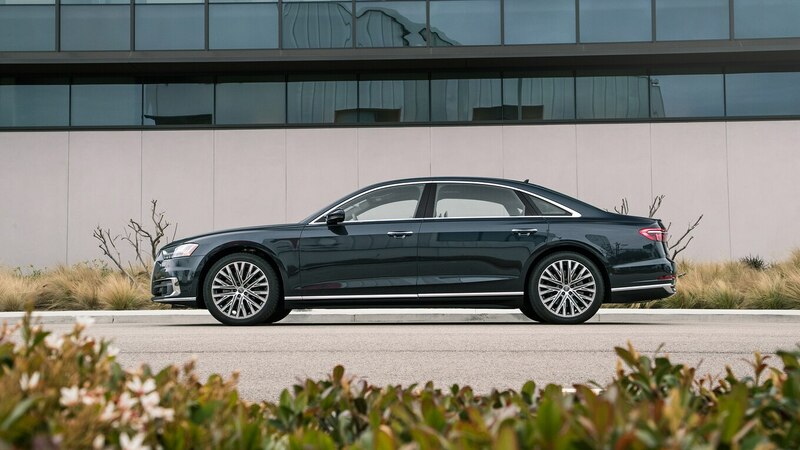 Benz buyers brave enough to explore other executive sedans will find a competent and more exclusive option in the A8. 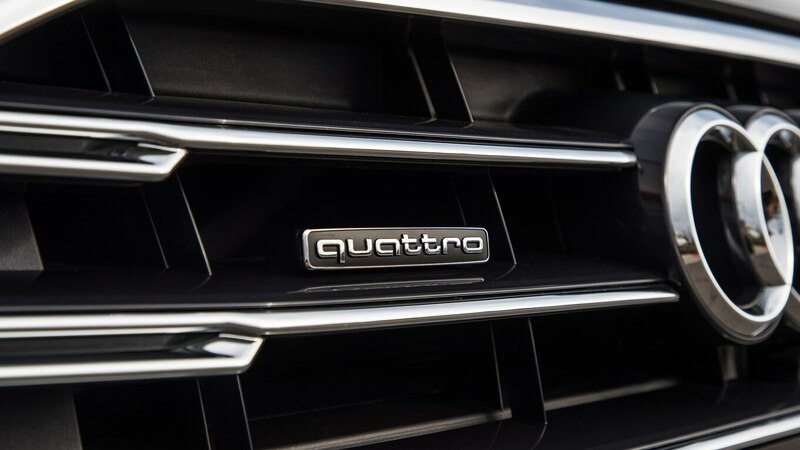 Audi loyalists will discover a car that’s clearly connected to the A6 and A7, yet with its own character and larger size. But that’s not the end of this story. Open-minded buyers seeking a quiet vehicle that doesn’t shout wealth the way the A7 or Q8 do should try the E-Tron crossover. Though the A8 is more highway-road-trip-ready, the E-Tron’s hushed electric powertrain should prove calming in traffic, and it’ll feel just as quick as the sedan. 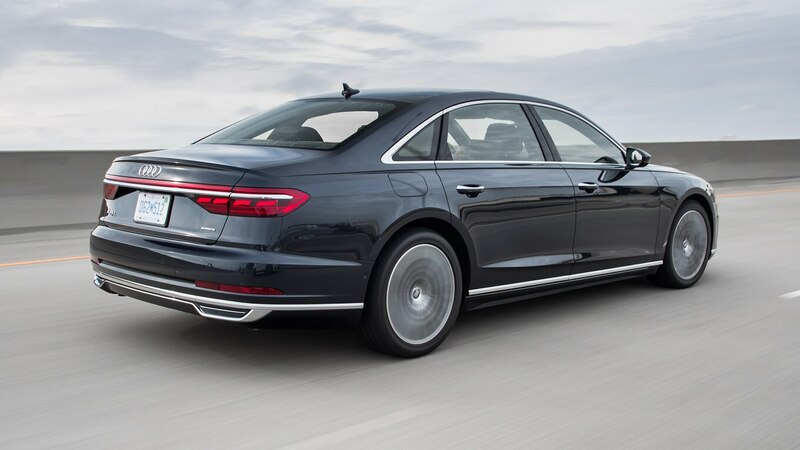 What it can’t provide, however, is the A8’s capacious back seat or conventional luxury-car looks. 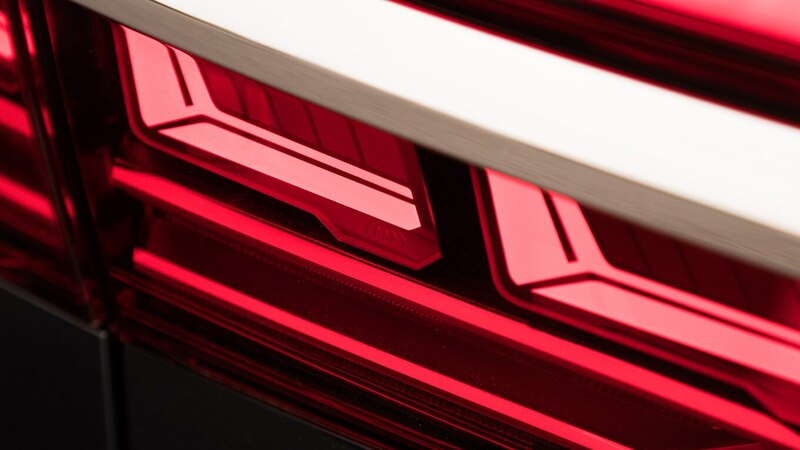 If that’s more important, Audi’s feature-filled flagship is ready to coddle.